Varsity jackets are more than representations of the highest academic and athletic achievement. They are a continuing fashion statement that transcends any time or age. At Beacon Awards & signs, we create custom varsity jackets that will last a lifetime. 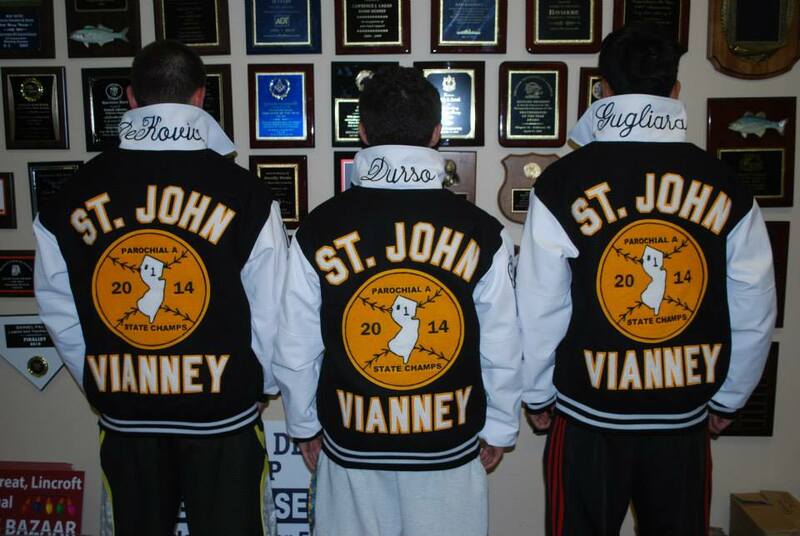 In addition to being the largest provider of Varsity Jackets in New Jersey, we provide personalized services to virtually every school district, league, and association as well as small & large businesses in Monmouth County. Our commitment to quality materials and craftsmanship enables us to meet the needs of individuals as well as the standards and unique needs of every school and organization. By providing the highest level of customer support and working with only the best providers, we can create custom varsity jackets that will last a lifetime. At Beacon, we have a wide selection of varsity jackets in NJ that can be customized with chenille letters, numbers, class, activity patches and the wearer’s name professionally embroider on your jacket. You can browse our website gallery for inspiration from the countless schools, students and universities that have had their varsity jackets in Monmouth County designed by us. Our professional staff works with you to ensure that the fit of each jacket is tailored to the wearer. We’ve sourced only the best varsity jackets that are constructed of the highest quality materials for comfort, warmth and durability. This wide range of materials includes wool, leather, faux leather, satin and cotton fleece. By using the best, suppliers, materials and craftsmanship we can create custom varsity jackets in Monmouth County that will last a lifetime. Our goal is to take the guesswork and surprises out of ordering varsity jackets from Beacon regardless of the quantity. To that end, our specialists work with you and communicate at all stages of design and development so that the finished product is exactly as you envisioned. We work to make our pricing affordable and provide the fastest possible turnaround time with no surprises upon delivery. These jackets go beyond just communicating your accomplishments, they speak volumes about your sense of style with the way you carry them. Contact us today and we’ll walk you through the simple design process to create varsity jackets in NJ that reflect your pride and style. Please visit our Facebook gallery for a much larger gallery of more recent work!